Hard to believe 6 months has already passed! Here Maddy is at 2 weeks old, barely 5 pounds. We go for her checkup next week, but I'm betting she's at least a 17 pounder by now. I can remember anxiously visiting her in the NICU everyday and how even the preemie clothes were too big at first. Now she's already in 9 month clothes and her toes are poking at the seams in the footie pj's! Still working on: Diversion Quilt...blocks are sewn together. I ran out of fabric for the border...that happens when you "eyeball" how much fabric you'll need AND the future owner of the quilt (a precocious 4 year-old) keeps adding new Princess fabrics she "must" have in it. Sorry for the lousy picture, the lighting was terrible when I took it after work yesterday. I will try and take a better one during the day. Birdie Stitches Block of the Month: I finished the first block! 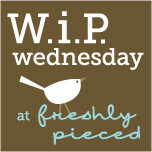 Pop on over to Freshly Pieced to see what everyone else is up to this week! AND Don't forget to enter the BOOK GIVEAWAY by leaving a comment under Podcast episode #13 by Friday, 7/22! you're little girls are precious - and so is the birdie block :) Found you on WIP! Love your birdie stitches, and your children are lovely! The girls are so cute! 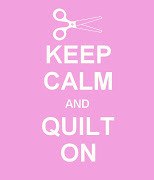 Your Diversion Quilt is perfect. 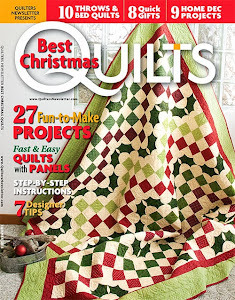 I have 2 granddaughters who would love this quilt so I know Samantha is very excited about it. The Birdie Block is really cute too! So much fun!